Jessica was admitted to practice as a Legal Practitioner by the Supreme Court of Queensland in 2013, and the High Court of Australia in 2014. She holds a Bachelor of Laws and Postgraduate Diploma in Legal Practice from Bond University. 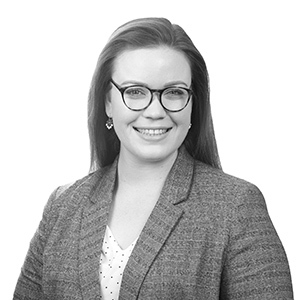 Having worked across multiple roles in the Education and Not-for-Profit sector, Jessica combines her practical experience and legal knowledge to assist institutional clients navigate their way through dispute-related matters. While methodical by nature with great attention to detail, Jessica’s ability to ‘see the big picture’ allows her to develop flexible solutions for the needs of clients and work alongside them to achieve desired outcomes. Jessica has experience conducting matters in the Supreme Court of Queensland, Federal Court, Federal Circuit Court, Family Court of Australia, Queensland Anti-Discrimination Tribunal, Australian Human Rights Commission and Fair Work Commission. When not working, Jessica is an adventurous traveler and a passionate supporter of her Church’s mission partners overseas, frequently combing her overseas adventures with opportunities to support the humanitarian work of the local church abroad.